The CKDigital project methodology comprises the steps we take in taking a project from initiation to completion. While the primary purpose of this methodology is to ensure that clients’ objectives are met, it also ensures that the client has a great experience during the web design process. 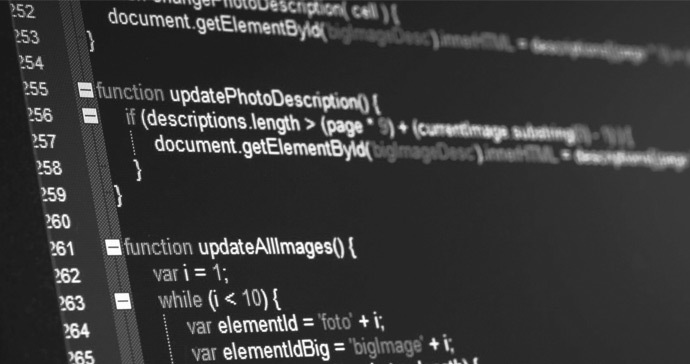 At CKDigital, we follow a defined process in managing web design projects. The duration of most web design projects is usually between 8 to 12 weeks. Actual duration however depends on the scope of the project. Image: Abiodun (Project Manager), Omeiza (UI/UX Designer), Opeyemi (Front-end Developer) and Chinaka (Developer) in a project briefing meeting. After gaining a good understanding of the project brief, we kick off the Planning phase. At this point, the project team sits together to discuss the project. 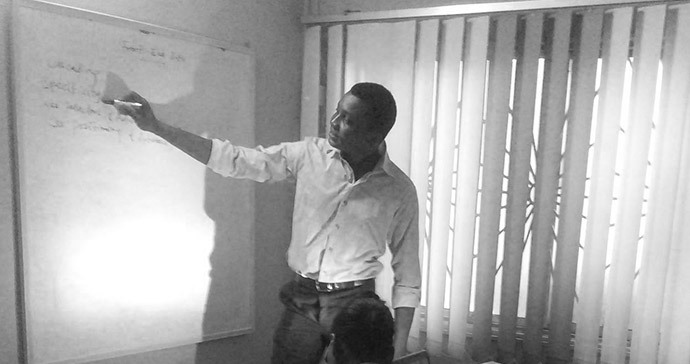 The Web Strategist explains the project brief to the project team (Project Manager, UI Designers, Developers). Collaboratively, the project team then works out the best solution and implementation plan for the project. 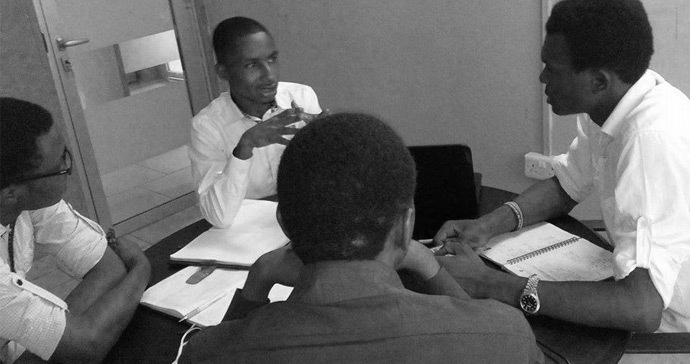 Image: Omeiza (User Experience Designer) during a project brief meeting. 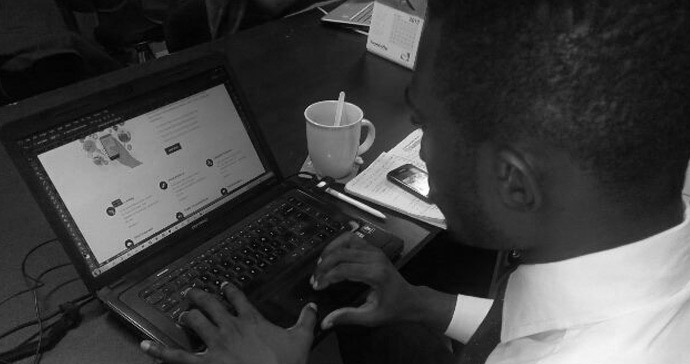 Image: Kayode (UI Designer) designing a website’s user interface. Once the client has signed off all design elements, the developers spring into action, making the designs ‘functional’. At this phase, front-end and back-end development is done, pages are created, and content is uploaded. After the development phase comes QA and testing phase. The developed website goes through thorough tests including functionality, browser compatibility, speed, and mobile usability tests. The project team makes required modifications, and the website is ready for launch. 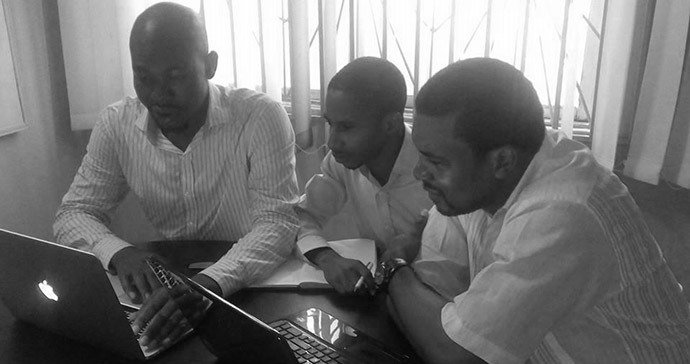 Image (L-R): Joseph (Developer) and Abiodun (Project Manager) in a review meeting with one of our clients. Once all QA tests are passed and website confirmed great by the client, the website is deployed (transferred to the live server), where a final test is done. We also train the client on how to use the website’s content management system. 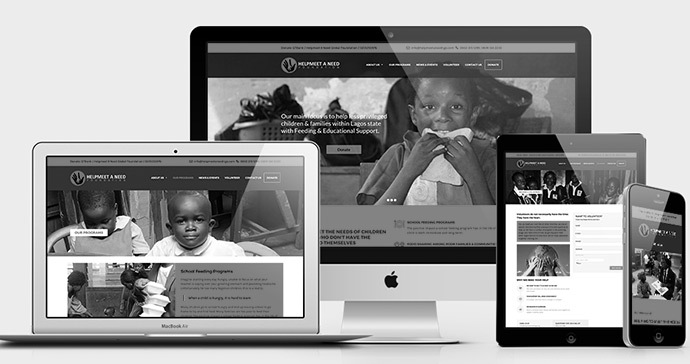 Image: A launched website (Helpmeet A Need), containing all core web design features, and ready for use. At CKDigital, our focus is on lasting relationships and not just the project. We continue to support clients, providing technical support and ongoing maintenance, after the website has been launched.